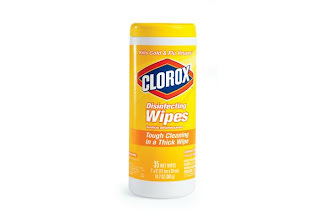 Be prepared with these tips and don't forget to stock up on wipes, paper towels, thermometers and first aid for your classroom! 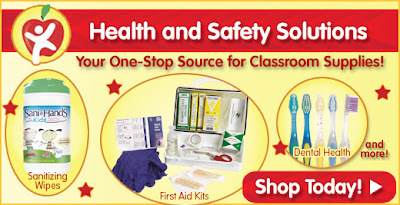 Shop our entire line of products designed to keep you and your students safe and healthy. •It is recommended that everyone over the age of 6 months get a flu shot. •It is not too late to get vaccinated for the current flu season. •Avoid coughing or sneezing into your hands. 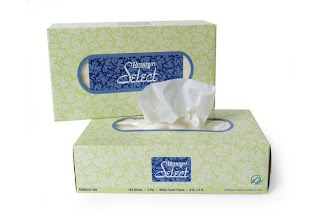 If possible, use a tissue and immediately dispose of it. Alternatively, cough/sneeze into your elbow. •Wash your hands often using soap and water. 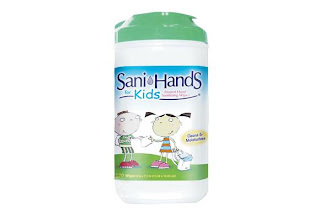 Keep alcohol-based hand cleaner on hand for when you are unable to wash.
•As much as possible, avoid contact with people who are sick. •If you or your child gets sick, stay home from work or school. Avoid contact with other people as much as possible to prevent spreading it to others. •Avoid touching your eyes, nose or mouth. Germs often spread this way. Shop and Save on Our Annual Red Sale! 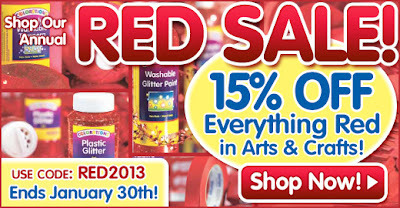 The Annual Red Sale at Discount School Supply is back and just in time for Valentine's Day! Teachers, program directors, parents and caregivers: this sale is especially for you! Shop now through January 30th and SAVE 15% on everything RED! Simply use code RED2013 at checkout! 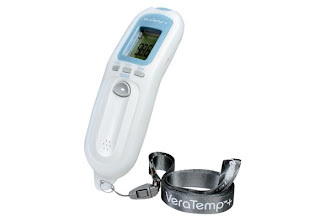 on SALE for ONLY $12.74 (Compare to $25.98)! Give art a spin! Working in 3-D is easy when you can rotate your project.Use for modeling, painting and decorating. Base remains fixed as top platform is turned.Set of 2 in red.11"Dia. x 1-1/2"H.
Red Colorations® Pipe Cleaners - Pack of 100 on SALE for ONLY $1.52 (Compare to $2.65)! Pack of 100 pipe cleaners. 1/8" (4mm) diameter, 12" long. Ages 4 years and up. 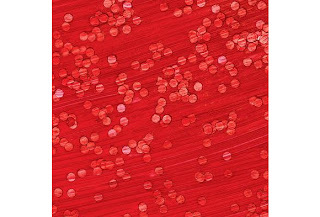 Colorations® Confetti Paint on SALE for ONLY $3.39 (Compare to $6.54)! 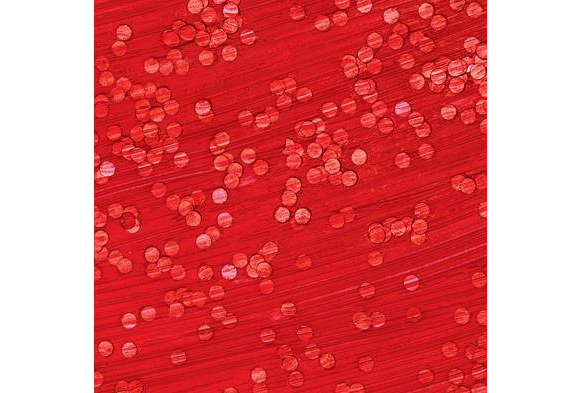 Be amazed by this thick gel paint with suspended confetti flakes! There's a party in every jar! 16 oz. The Red Sale lasts until January 30th so hurry over to Discount School Supply right now to snag great deals for your Valentine's Day crafting and more! While you're there, take advantage of other great deals on top-quality educational supplies for your home, classroom or learning center. 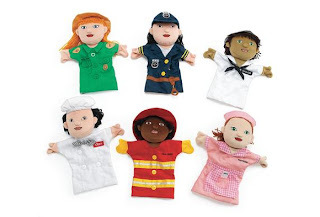 After all, Discount School Supply has the 110% Lowest Price Guarantee on Arts and Crafts, Furniture, Manipulatives, Curriculum Supplements, Active Play items, Dramatic Play products, Health & Safety Solutions and more! 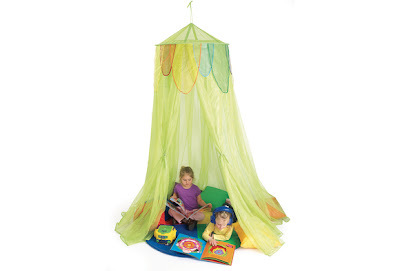 Review: "As a mentor this is the perfect item to create a cozy corner. Our state has implemented the QRIS and this items is a favorite among the mentors working with QRIS programs." A haven to read, draw or daydream in! Made of sturdy, light green polyester mesh, polyester trim. Top ring measures 30"Dia. Sides are 7'L. Ages 3 years and up. Excellerations™: An innovative new brand for your classroom! Look for the Excellerations™ brand to find the products you want most in math, science, language, dramatic play, active play and more. Psst, see below for special sweepstakes offer! Enter to win! Quality: Play and learning go hand-in-hand. 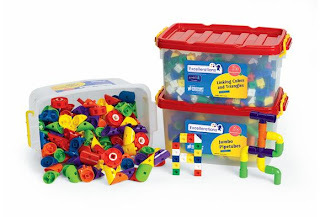 Excellerations™ products are built to withstand years of discovery and daily use by classrooms of little learners. Value: Excellerations™ is a line of high quality products at affordable prices with value-added extras to stretch your dollars. 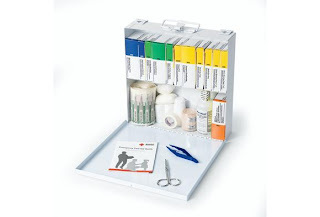 Teachers like you have prepared guides to highlight the versatility of these products. Creativity and Innovation: Excellerations™ products are designed to inspire. 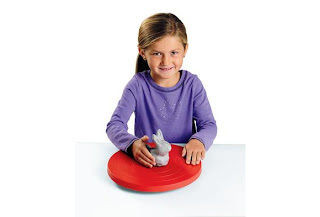 They feature durable design, exciting visuals and hands-on tactile appeal. Convenience: These products carry age-appropriate labels, and many are packaged in reuasable bags, bins and boxes for easy storage. 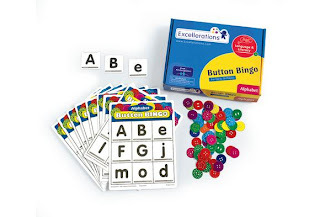 We are proud to introduce the Excellerations™ brand of classroom products! 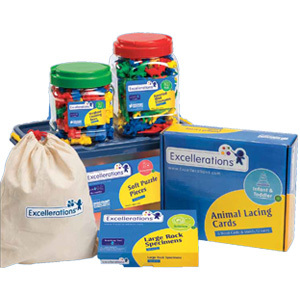 Because teachers are on a strict budget, Excellerations™ products are priced right and come with valuable extras such as age-appropriate labeling and convenient bags and storage containers. 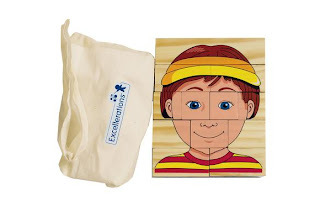 Plus, helpful Excellerations™ activity guides include clear instructions and extended enrichment activities. Visit www.Excellerations.com to explore our entire line of Excellerations™ brand products. Check-in often, to watch this new brand as it grows! To celebrate the launch of our new brand, Every week in January, FIVE lucky winners will be selected to receive a $100 Excellerations™ shopping spree! Grand Prize: $500 Excellerations™ shopping spree! 2nd Place: $350 Excellerations™ shopping spree! 3rd Place: $250 Excellerations™ shopping spree! Winners will be notified via phone or email. Contest ends 2/1/2013. No purchase necessary. Click here for full details.